For the past few years, pianist Fred Hersch has been releasing CDs with a regularity that would make them feel routine if the music wasn't always so good. This new one is another live effort featuring his long standing trio with John Hébert and Eric McPherson, this time recorded in Brussels. As usual, it's excellent. This time around there are two selections each by Wayne Shorter and Thelonious Monk but the balance of the compositions played are Hersch originals. Monk's "We See" kicks things off, progressing through sudden stops, tempo shifts and spaced single notes over McPherson's sparse drum ticking and Hebert's woozy bass. Then the program shifts to Hersch's intriguing variety of tunes, which point out how underrated he is as a composer. "Snape Maltings" is a drunken minuet with erratic classical trills that sounds close to Carla Bley's early writing. On "Scuttlers" rattling drumsticks and drips of piano and bass interweave before Hersch starts stringing notes together into swift single line runs. 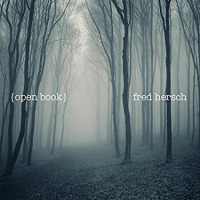 "Skipping" expands the percussive approach of the previous tune into a lightly prancing melody Hersch plays with a light touch that sounds like Bill Evans brushing his fingertips over the keys. Hersch's other pieces are heavier on melody. "Bristol Fog," dedicated to the late British pianist John Taylor, is a lovely, sensitive ballad played gracefully and intricately. "Newklypso," dedicated to Sonny Rollins, is a bouncy calypso with a deep bass pulse underlining Hersch's frisky piano and McPherson's chattering drums that eventually climaxes in a showy drum solo. "The Big Easy" is a genteel saunter into the atmosphere of New Orleans. 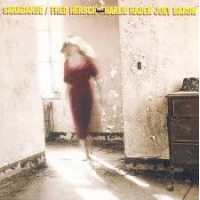 Hersch's piano unwinds along a courtly blues groove, trailing echoes of Monk and Allen Toussaint. The two Wayne Shorter pieces further display how well the trio works together. "Miyako" starts out a gentle romantic stroll with piano winding around the rhythm section, slowly increasing speed. 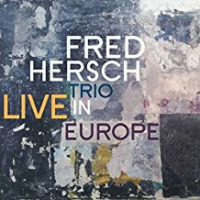 Hersch's exploration of the melody becomes a surging wave of sound but the bass and drums keep the original carefree mood in place. 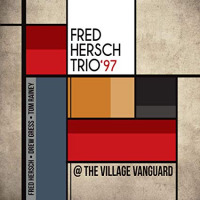 After an extended drum intro, "Black Nile" stabs and slides with hard-charging energy, Hersch again showing his dexterity and imagination while Hebert and McPherson give him a steady base to work from. 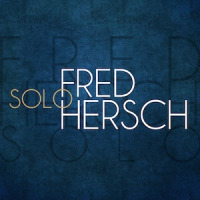 Finally, on a solo encore of "Blue Monk," Hersch plays with the tune like a cat with a ball of yarn, worrying over some phrases and repeating or stumbling over others, walking a seemingly random path that actually has the eccentric precision and logic of a Gene Kelly dance routine. It's been said a million times but it's still true. 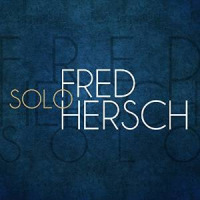 Fred Hersch is one of the finest pianists working today. When he and his trio are as engaged as they sound here, nobody can touch them. 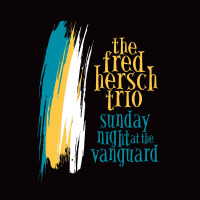 Even by Hersch's high standards, this is one of his best recent recordings. Track Listing: Wee See; Snape Maltings; Scuttlers; Skipping; Bristol Fog; Newklypso; The Big Easy; Miyako; Black Nile; Blue Monk. 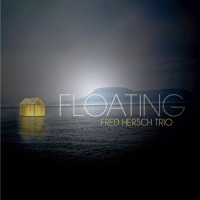 Personnel: Fred Hersch: piano; John Hebert: bass; Eric McPherson: drums.